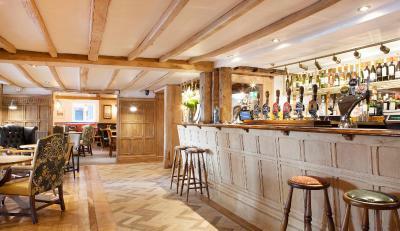 Lock in a great price for The Bird In Hand Country Inn - rated 9 by recent guests. The Breakfast was really good. The Staff where very friendly. Good sized car park. The staff were friendly. Great Ambiance and atmosphere. The room was lovely. Modern and tasteful decor. The only negative was the bathroom! It definitely needs refurbishing! Strange it wasn't done when the room was refurbished! Also the food was excellent as was the breakfast. Excellent value, very comfortable, large bedroom, excellent meals. Welcoming hosts and a gluten free breakfast which was a great surprise for me! Comfortable, well furnished room. Housekeeping was good. 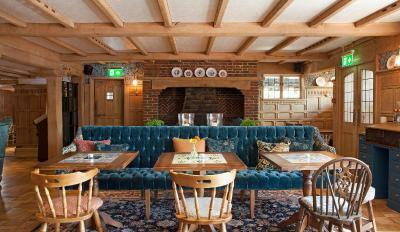 The traditional lounge bar has wood panelling and a large open fireplace, with a range of hand real ales available. 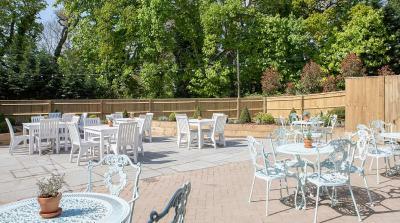 The restaurant’s menu includes British and exotic home-cooked food and guests can eat on the patio or garden areas when it’s warm. The bedrooms at The Bird In Hand are set around a brick courtyard, with a fountain. They all have their own bathroom with a bath, a shower and a hairdryer. Other facilities include tea/coffee, desks and flat-screen TVs. London is a 30-minute train journey or a one hour drive away from The Bird In Hand and Reading is a 20 minutes’ drive away. The nearest train station is Twyford which is 3 miles from the hotel and Heathrow Airport is 10 miles away. Both Legoland and Windsor Castle are a 20-minute drive from the property. 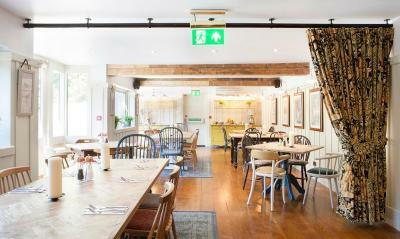 The Bird In Hand Country Inn has been welcoming Booking.com guests since 12 Apr 2010. 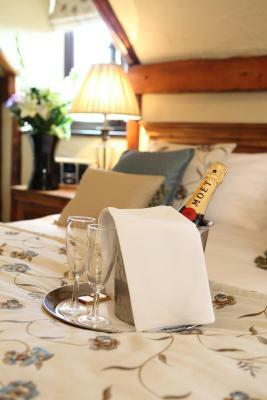 When would you like to stay at The Bird In Hand Country Inn? This spacious room offers free Wi-Fi and a king-size bed. It is set around the garden's brick courtyard with a fountain. The room also offers a flat-screen TV, tea and coffee making facilities, and an en suite bathroom. 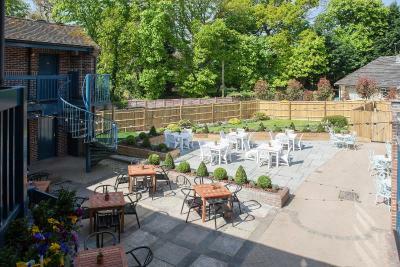 This spacious room offers free Wi-Fi and is set around the garden's brick courtyard with a fountain. The room also offers a flat-screen TV, tea and coffee making facilities, and an en suite bathroom. 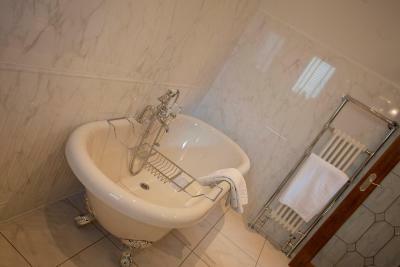 This spacious room has free Wi-Fi and is set around the garden's brick courtyard with a fountain. The room also has a flat-screen TV, tea and coffee making facilities, and a private bathroom. This room is suitable for 2 adults & 2 children up to 16 years old. Spacious rooms featuring a luxury king-sized bed, free WiFi, tea and coffee-making facilities and a flat-screen LCD TV with Freeview cable. Please note that children under 18 years old cannot be accommodated in this room. Extra beds (including cots) and dogs are also not permitted in this room type. This individually designed room features a king-sized bed and a private bathroom with a freestanding bath and separate shower. The luxurious air-conditioned suite comes equipped with free WiFi and an iPod docking station. This individually designed room features a king-sized bed and a private bathroom with a freestanding bath and separate shower. The air-conditioned suite comes equipped with free WiFi and an iPod docking station. House rules The Bird In Hand Country Inn takes special requests - add in the next step! The Bird In Hand Country Inn accepts these cards and reserves the right to temporarily hold an amount prior to arrival. 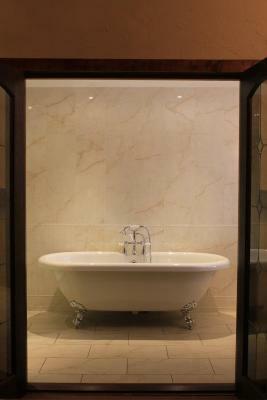 Please note that children under 12 years old cannot be accommodated in the Suite or Luxury Double Room. 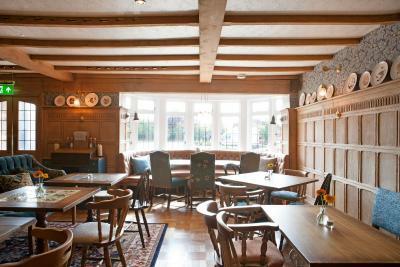 The property is currently undergoing refurbishment. The property apologises for any inconvenience caused. Friendly and helpful staff. Nice evening meal, room clean and tidy. The bathroom had a few problems but not enough to put us off staying again. quite expensive for what it was. More vegetarian/vegan cooked choices would be nice. Really nice breakfast included. Good continental selection and the cook was excellent. Room was lovely, great breakfast. Friendly staff. Lovely staff, lovely room, lovely breakfast. All felt quite rigid and strict. No changes aloud to ordering food, managers were quite direct and inflexible. In the room the toilet roll holder was hanging off the wall and there was mould in the shower. Booked it as four stars but wouldn’t say the accommodation is.